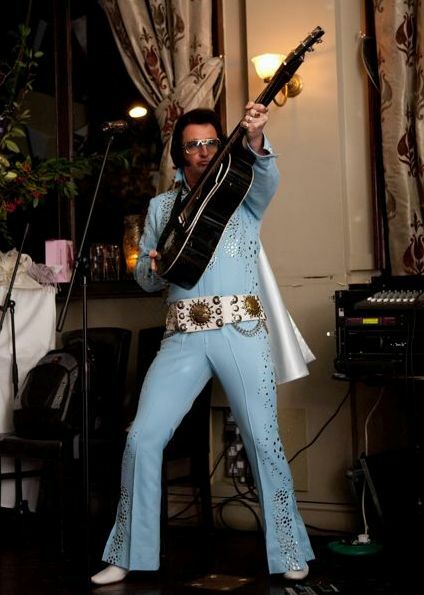 Elvin Priestley as Elvis has got to be the most convincing Elvis Impersonator in the North West of England and the UK. He is an amazing likeness and sound quality of the King of Rock himself that you'll truly believe, in far you just can't help believing, that the King of Rock Lives ! otels, Cruise ships, Corporate Events, Weddings, Private Parties. Elvin Priestley as Earl King 'King of Swing' is available either a one hour Swing Show or 2x 45 minutes. Elvin as Earl King, is an international singer who has performed for Royalty such as Princess Stephany of Monaco in Croatia at the Dubrovnic Palace Hotel. His shows cover a wide range of celebrations such as Weddings, Anniversaries, Corporate Events, Rat Pack Themed Events. Book Earl King the King of Swing - we're sure you'll enjoy his golden voice.